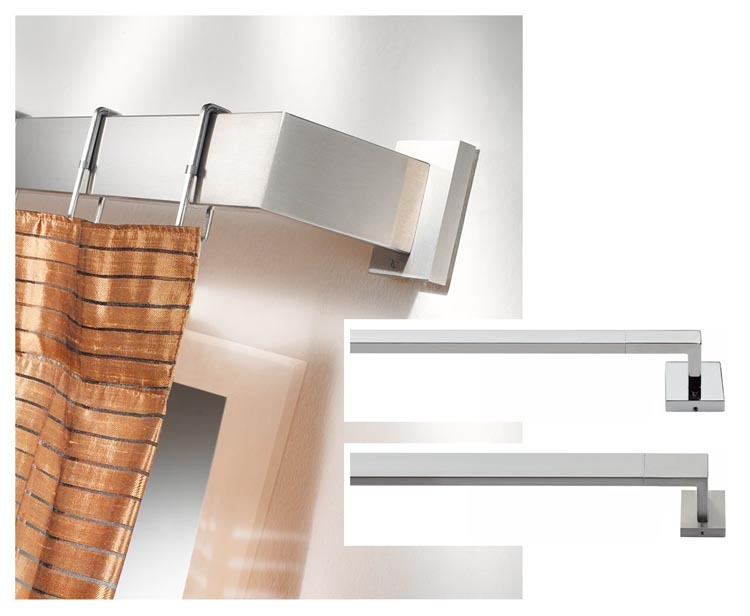 Shown: model BRENDA 40 in satin stainless steel. 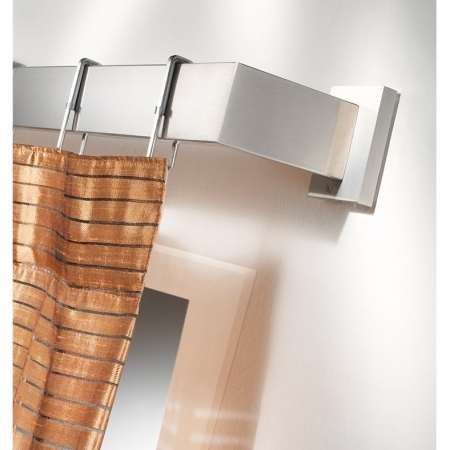 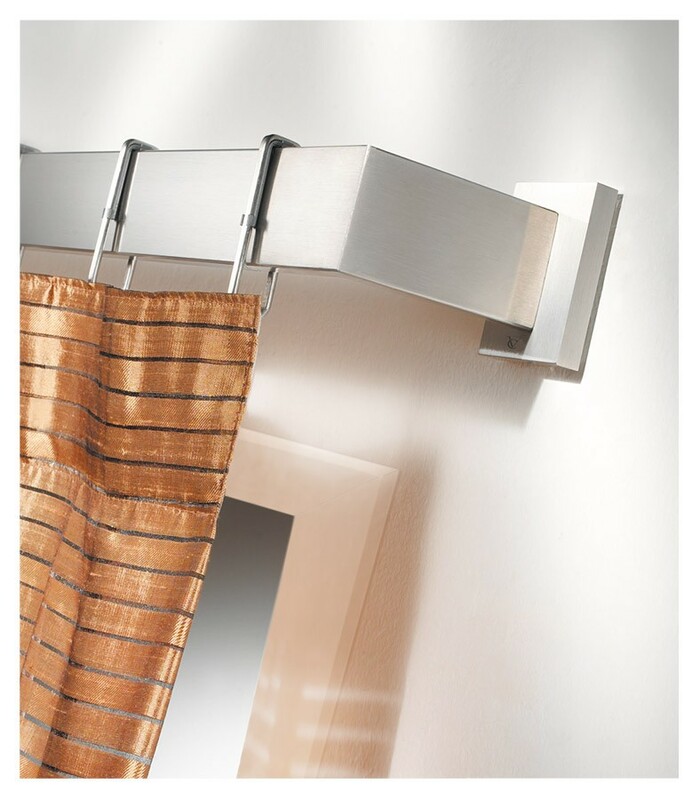 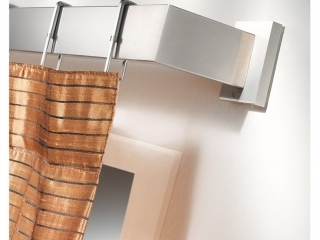 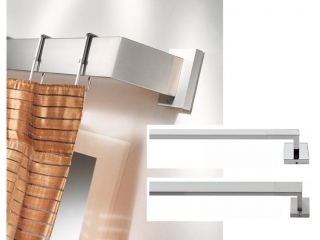 Curtains in single and double version, with opened or closed clip rings, available also with bright stainless steel. 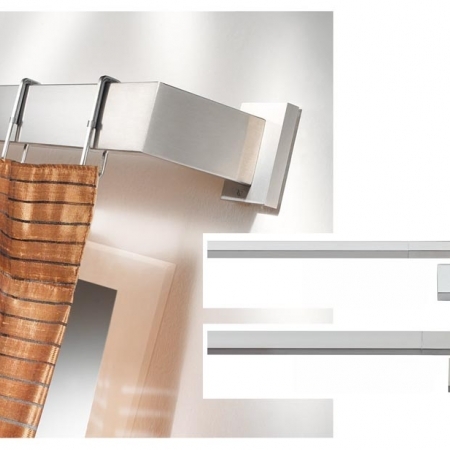 The model BRENDA exists in two versions, BRENDA 20 and BRENDA 40 according with the height of the squared pole, 20 mm or 40 mm.